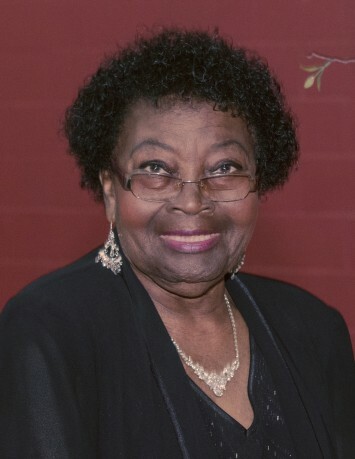 Ruby Mae Johnson, 77, daughter of the late Jim and Melissa Johnson, was born March 4, 1941 in Leesville, South Carolina. She departed this earthly life on Saturday, January 12, 2019 at Lexington Medical Center, West Columbia, South Carolina. Ms. Johnson was educated in the public school systems of Lexington County, South Carolina. She was a member of Olive Branch Baptist Church, Batesburg-Leesville, South Carolina working on the Pastor’s Aide Ministry. She attended church regularly until her health began to fail. Ms. Johnson was preceded in death by her parents, all nine of her siblings and her son, Frankie Joe “Pue” Johnson. Those left to cherish her precious memories include: a longtime companion – John Erving of the home; four grandchildren – Richard Jaquaee (Gina) Foulks and Deneva “KoKo” Johnson, both of Lexington, South Carolina, Derica “Dee” Johnson of West Columbia, South Carolina and Darius Johnson of Aiken, South Carolina; great-grandchildren – Janequaee, Caelum and Preace; two great-great-grandchildren; three four-legged friends she truly adored – Penny, Bailey and Eddie who will miss her for sure; a host of nieces, nephews, cousins and friends who will miss her dearly.